We view stewardship of pollinator habitats very seriously. To learn more about our beekeeping philosophies, see our "About" page. We strive to apply natural methods in our home and in our hives. Bee products straight from the hive and as nature intended is our goal in delivering you our very best. 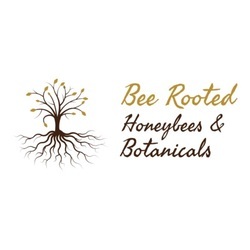 We offer honey, beeswax, pollen and more raised with our sustainable and holistic philosophies. We do not use plastic foundations or chemical treatments in our hives. We only harvest sustainably and leave the bees more than enough to survive. As such, our "straight from the hive" products are very limited! If you are interested in ensuring your share of honey, join our community supported "adopt-a-hive" program. We donate 1% of profits or more towards developing bee sanctuaries and volunteering in educating our community on pollinators. ​We put thought into all aspects of our products... from the holistic treatment of our bees, to the beeswax and ECOS organic paint we put on the hives, to the glass reusable canning jars we use for our honey, to our seeded paper labels (yes, you can grow our labels!) and organic cotton twine. We strive to encourage stewardship of the earth and it shows through our products. ​If you are in Southern California, we can arrange pick up in Rancho Cucamonga or nearby cities.